He obtained his PhD at the University of Colorado-Boulder in 1995. His research interests include Political Geography, Geography of War and Peace and Geopolitics. This interview is about the second edition of “Introduction to Geopolitics”. Dr. Flint elaborates on the changes in this edition, the definition of geopolitics, concepts such as geopolitical visions and geopolitical codes, and related themes. 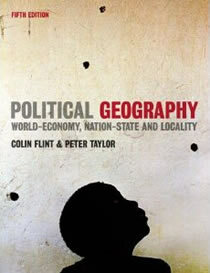 He is further co-author (with Peter J. Taylor) of “Political Geography: World-Economy, Nation-State, and Locality” and editor of “The Geography of War and Peace”. 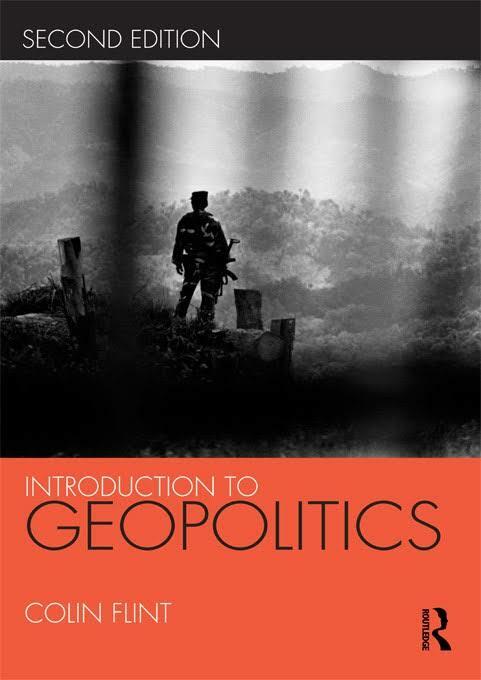 Why have you written an(other) introduction to geopolitics? Primarily because the publishers asked me to write a new edition. But I was hoping they would as I was aware it needed up-dating and could benefit from such changes. The first edition seems to have been a success but I have learned a lot from formal and informal feedback as well as using it myself. It needed a mixture of refreshing, re-organization, and new material. What was the rationale behind publishing a second edition and what did you change/add? The big changes are moving the discussion of Modelski’s model to the back of the book, adding a whole new chapter on environmental geopolitics, and making the chapter on networks have equal balance on terrorism (or conflict) and peace networks. The rationale for moving Modelski was that it seemed to make sense to emphasize agency throughout the book. Hence it starts with geopolitical codes and the choices that geopolitical actors make. The book then concludes with how structure contextualizes, situates, or constrains agency. Also, my students found the chapter on Modelski abstract and the most challenging part of the class. The reorganization means that they are not hit with an abstract (and problematic) model at the outset. Environmental geopolitics is, obviously, an essential part of the contemporary global politics and one that many students are interested in. Hence, it needed its own chapter. And I have been working with a number of colleagues (Scott Kirsch, Nick Megoran, Jim Tyner, Sara Koopman, and Amy Ross, in particular) on highlighting the geopolitics of peace rather than just conflict – hence the reorganization of the networks chapter. Why are we so focused on trying to define such a fluid and complex term when what makes it so interesting is that the definition is contested? I try to emphasize that geopolitics (broadly the mutual construction of space and power relations) is both a matter of practice (doing) and representation (justifying the doing). “conjures up images” is used to get the reader to consider ‘classic geopolitics’ such as Kissinger strategizing, or militaristic Europeans carving up the world. But the intention was to move on from this commonly held view of geopolitics as (past) statesmanship to a contemporary understanding of multiple geopolitical actors. Why do you argue that a good understanding of world politics requires more than one definition of geopolitics? Considering classic and feminist geopolitics forces us to identify and consider the multiple actors who practice geopolitics, and not just states. 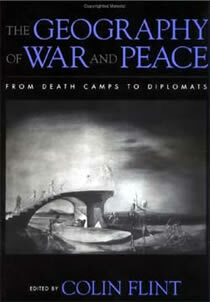 By also considering critical geopolitics we understand geopolitics as practice and representation. How do you define agency and how is it related to geopolitics? Agency is the actions behind trying to achieve a particular goal. Individuals or groups act, or have agency. Sometimes we can talk about states or a social movement having agency, but at other times it is more appropriate to think of groups or individuals at a lower scale (i.e. the President and the Pentagon acting differently to negotiate the defense budget). It is related to geopolitics in that agency creates spaces (i.e. a nationalist group tries to create a nation-state) while actions are framed or situated within spaces. What are the similarities and differences between a geopolitical code and a geopolitical vision? A code is more dynamic – it changes with changing circumstances – and is the product of state elites. It is the foreign policy calculations that are reassessed daily. A vision is the understanding of a state’s national history, character, or even destiny that is stable and is rooted in popular sentiment. The vision is the foundation that is mobilized to ‘make sense’ of the code. What is Critical Geopolitics and how has it been influenced by Antonio Gramsci and Edward Said? I see the particular value of critical geopolitics in its agenda to question what is taken for granted by challenging dominant language or tropes. Critical geopolitics stresses that the world we live in and rarely consider carefully is the product of particular power relations that create winners and losers. The usefulness of Gramsci is focusing upon how such relations become taken for granted or unquestioned. While Gramsci was all about class relations I think it can be extended to political geographic concepts such as the world political map of nation-states or the ‘Third World’ or ’emerging economies’ or ‘ethnic cleansing’ etc. Said is useful because he makes us consider this on a global scale and also shows how this is a multi-institutional enterprise including the state, education, media, etc. Why do you at times write knowledge between quotation marks (i.e. ‘knowledge’)? Because critical geopolitics has shown us that all knowledge is not neutral but the product of power relations creating some notions of how the world works as ‘known’ and ‘true’ and others as ‘false’ or unworthy of consideration. Why is it so hard to define terrorism? One reason is that the meaning changes across historical-geographical contexts. But the most important reason is that terrorism is often understood as illegitimate violence and therefore also defines what is legitimate or acceptable violence. The key here is that terrorism defined as violence perpetrated by non-state groups legitimizes violence performed by the state – such as repression of political groups and minorities, or the bombing campaigns of WWII, or the contemporary use of nuclear weapons to threaten and intimidate. What do you mean by ‘geopolitical agents juggle a number of identities, some competing and some complementary’ (p. 189, first edition)? In class I introduce this idea by pointing out to the students that they are complex agents. They have multiple goals that may be incompatible (i.e. getting an A in the class and being that semester’s ‘party animal’). They also have multiple identities: student, son/daughter, brother/sister, member of clubs and organizations, Republican/Democrat/other, citizen/non-citizen, race, gender, etc. Each of these identities produces its own demands of agency that may compete with each other (within identities) let alone between them.